Relationship Charts is Microsoft Dynamics CRM visualization platform developed by WaveAccess. Relationship Charts is a Microsoft Dynamics CRM add-on that visualizes CRM relationships and connections and brings CRM data to the Chart. There, you can see, modify and build connections, then save them back in CRM. 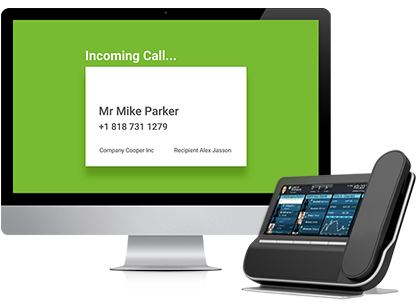 The easiest way to enhance business productivity gains through the phone system. Combine your Elastix or Asterisk PBX system with Microsoft Dynamics CRM to convert each call into sale. Your managers, sales teams, marketеrs, and IT department will celebrate. Unique and flexible integration platform for various systems. 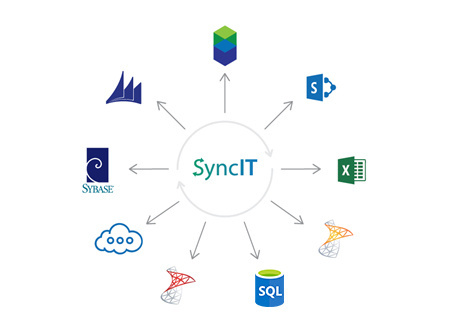 SyncIT provides seamless and painless data migration between various systems, in particular, between Microsoft Dynamics CRM versions. SyncIT allows users to start working in the new system immediately, using data from the old one. It migrates data with no impact on business processes. 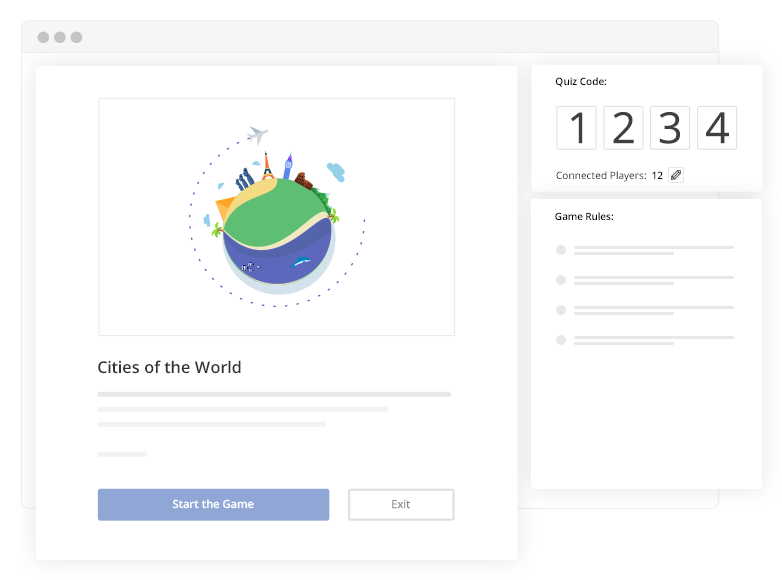 Conduct multiplayer quizzes and prize draws in real time. Create your own game and hook up players from their mobile phones. The questions will show up on the big screen, then participants can see them and answer them straight from their phones. 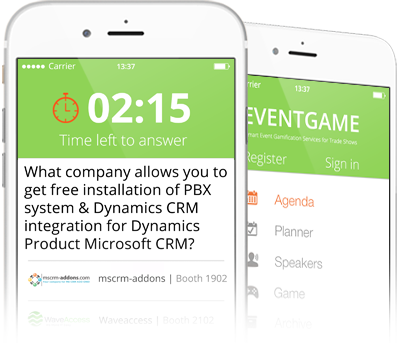 Comprehensive mobile application for exhibitions with smart built-in gamification features. Event Game engages the participants of any event in an industry specific quiz game that will leave no one disappointed. Professionals will compete for the title of the best expert, and novices will learn a lot about their field of work. 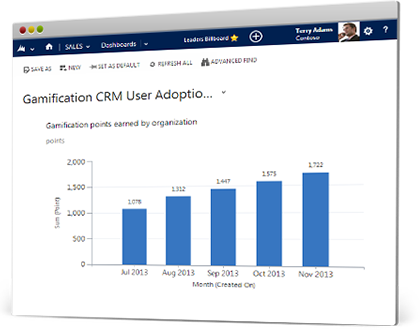 Turn Microsoft CRM into a Game with the CRM Gamification Tool and get your CRM adoption rates increased. If you've had to deal with people in your organization avoiding Microsoft CRM, or using it only minimally, try leveraging an approach that is sure to motivate them. A powerful integrated suite of web based applications for Document Control and Business Process Management (BPM). It is workflow driven and designed to capture, manage and report on any repeatable business process. 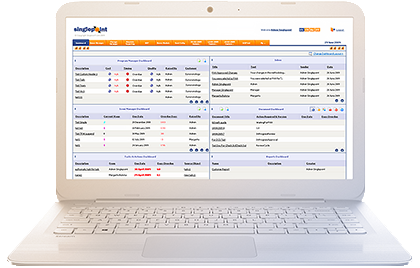 With Singlepoint, users have one place to see all the tasks and issues, change requests and programs. OnlineShop is the e-commerce module, integrated with Microsoft Dynamics CRM, and built into your website. It is especially convenient for software vendors, since softwares has different versions, editions and is built for different platforms. A website is a storefront for customers to search out information about a company, it’s truly window shopping. With WaveAccess' ChatOnline, your website can have a salesperson manning the store. A tool to allow you to communicate with your site's visitors while they’re still on your website. A live chat and a screen sharing tool embedded into Microsoft CRM. It allows end users to ask questions and receive answers straight away and get direct assistance via screen sharing, all without leaving the Microsoft. A smooth eService-based web-portal integration of live chat with the Microsoft Dynamics CRM system. It allows portal visitors to interact with Microsoft Dynamics CRM by submitting requests and creating cases to get real-time assistance via live chat. This app can be obtained and used free of charge. A set of productivity add-ins for Microsoft Excel. XLTools contains 20+ powerful add-ins that help save time on routine operations in Excel: track changes in spreadsheets and VBA, run SQL queries, automate your custom processes without bulky macros and more. For Microsoft Excel 2007-2019.